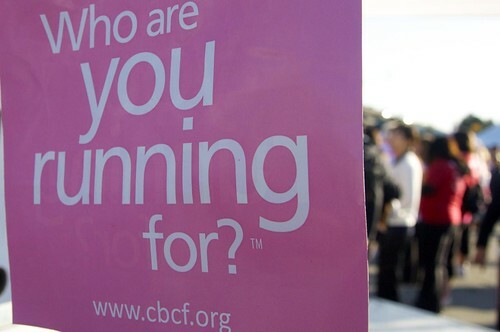 The Canadian Breast Cancer Foundation’s Run for the Cure is coming up September 30th and a group of local bloggers has created a team to support the cause. Nicole Ludwig from the blog Resolving Timeline Issues said that the team was an “accidental happening” last year since she signed up for personal reasons and found that friends and fellow bloggers (like Alexis of wavethestick.com) wanted to join her. 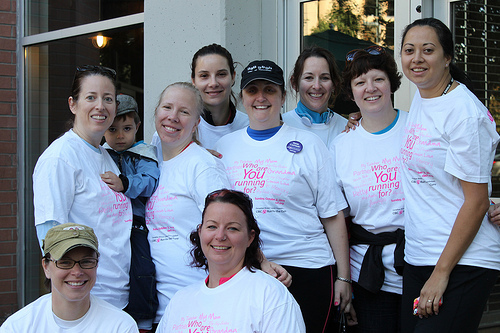 You can find out more about the Run for the Cure online, sign up, volunteer or simply donate to the cause. Follow the event on Facebook and Twitter for more information. Love it! Thanks Miss 604 for posting this, and way to go Bloggers for Boobies! Run day is fast upon us and we are aiming for an all time record breaking run, so sign up to run, walk or volunteer now!